• Flat Rs. 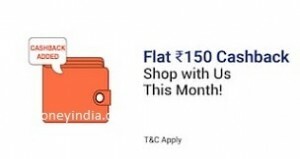 150 cashback on Minimum shopping of Rs. 299. Sir, pata Hi nahe chalta hai ki kin kin product par once a month code applicable hai. I cancelled the order but still they will not process the full refund, paytm adjusted Rs.200 and only remaining amount will be refunded,not getting proper reply from paytm. My ekyc done long back now what is the issue? Instead of 200 cashback i received gold bavk worth Rs. 194 only and selling price also low now i am getting 180 only. My concern is why they are forcing me to use paytm gold service? If i sell that gold i have to put my bank account details to get the payment why? They can add the payment to my paytm wallet. Paytm saying kyc not done thats why cash back added to gold back, but the question is who give them authority to open digital gold locker?? Now they dont need kyc for that. I have decided i will use all my paytm wallet balance and will delete it forever and i believe we all should do the same. I also got gold back but my ekyc done via otp and till last month i was getting cashback in my paytm main wallet only, for onceamonth and all other promo code. Kuldeep I rcvd not only cash back of 200 but also got delivery today same product I purchased after reading ur comment ..thanks ? I bought a Jockey hand towel pack of 2 which is of rs 299+24 delivery charge. The experience is so bad as they take my order first and seller keep cancel my order after 2-3 days of placing my order. If they don’t want to sell the product why they enlist them and take the order?. So paytm lil advice for you don’t take the order if you want to cancel it later It cost me time or remove the seller from your list that cancel order after it placed. paytm mall has become useless. I hyave no purchase in this month till todate. shipping everywhere. TOTALLY UNATTRACTIVE NOW. ordered, got 200 cashback but returned product and tried another purchase seems not able to claim 200 cashback as it says only for first shopping of every month.. Ordered iPhone charger but received android charger instead. WASTE OF TIME. I was a regular paytm customer of paytm (recharge and shopping both) But one day I ordered a product (worth ?1499) only @rs.1 in mahabazaar sale during Dec 2016 which was cancelled by paytm. Reason- seller has no more stock available, sorry for inconvenience. From that day I stopped shopping from paytm & will never buy anything from them. Now in 2018 its your turn to be fooled by paytm. So decide wisely whether to be fooled or, not. I went for ajanta clock(mrp shown299) . But when I got item, on box mrp was mutilated. From ajanta website I got mrp as ?185. So no difference between ShopClues & Paytm. @DJ coupon is available , but not applicable now for that particular product. My order of ipad cover also cancelled, you can raise complaint that your order is cancelled by them and now you want to re-use the promo code. Paytm cancelled my IKall K71 mobile order. they are putting it on seller but i know this is from Paytm. As mobile is still available from seller at same price but now onceamonth coupon is not applicable on product. paytm not even allowing to raise a complaint. Ordered SanDisk 16 GB USB Drive. Nice deal. Please suggest some good products to order.